GeorgeTaylor is a Legacy Library. Legacy libraries are the personal libraries of famous readers, entered by LibraryThing members from the Legacy Libraries group. » George Taylor's legacy profile. GeorgeTaylor is also an author. About meGeorge Taylor (c. 1716 - 23 February 1781), ironworker and early Pennsylvania statesman and Signer of the Declaration of Independence. Born in Ireland, Taylor emigrated to Pennsylvania around 1736 and apprenticed to ironmaster Samuel Savage, Jr. When Savage died in 1742 Taylor married his widow, Ann, and managed the ironworks at Warwick Furnace until 1755. In that year he became ironmaster at Durham Furnace in Bucks County. 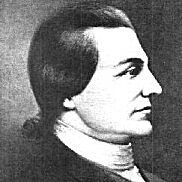 Taylor held local offices in Bucks County during his time there, serving as Justice of the Peace from 1755-1763. The following year the family moved to Easton, Northampton County, where Taylor built a large house at Catasaqua (now a historic landmark) and resumed office as a justice of the peace in that county. He was also elected to the colonial assembly, 1764-1770. In 1774 Taylor again took up management of the Durham Furnace, and resumed his office in the assembly. At the outbreak of hostilities he was commissioned a colonel in the Third Battalion of the Pennsylvania Militia, and the ironworks was granted a contract to provide cannon shot for the American forces. Taylor was not named a delegate to the Continental Congress until 20 July 1776 (after several representatives had resigned), so he was not present to approve the document, but signed his name on 2 August. In February, 1777 he was named to Pennsylvania's Supreme Executive Council, but grew ill in April and resigned his post. Following the seizure of Durham Furnace by the state (its owner, Joseph Galloway, was condemned as a traitor), Taylor formed a partnership to manage Greenwich Forge in Warren County, NJ, but again succumbed to sickness and returned to Easton in April 1780. After his wife's death in 1768 Taylor had five children by his housekeeper, Naomi Smith (to whom he left £500 in his will). About my libraryTaylor's library is documented in the inventory of his estate, taken 24 February 1781 and now located in the Northampton County Probate Records. Taylor does not mention the library in his will, dated 6 January 1781. The original will was stolen from the Northampton County records and is now in the collections of the New York Public Library. A transcription can be found in James Laux's 1920 article "The Lost Will of George Taylor, Signer."